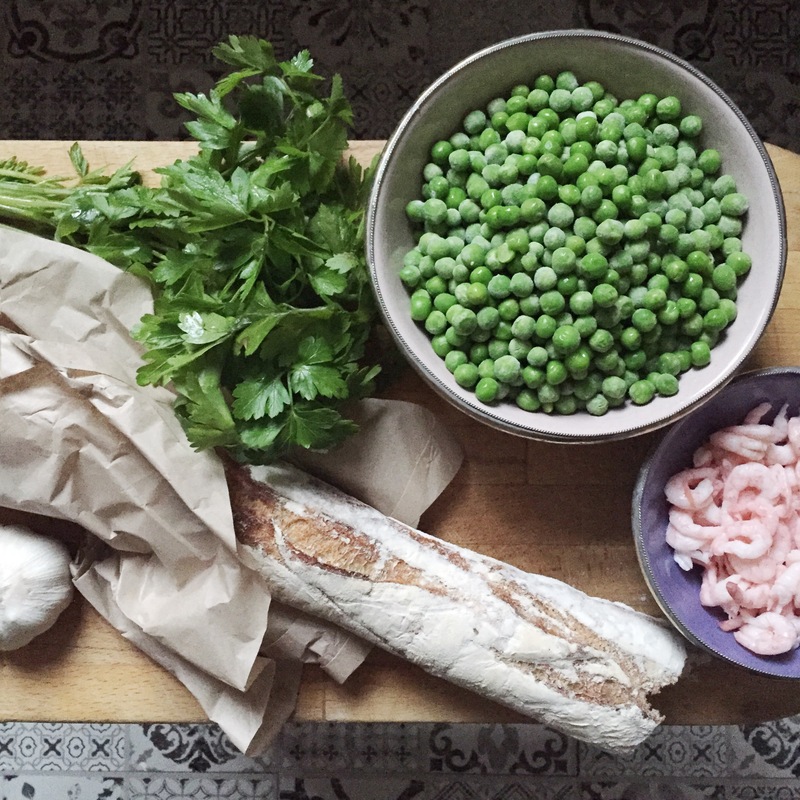 One bag of green peas, two hands of parsley, one shallot, a half clove of garlic, water, vegetable broth, salt, shrimps. Sear the onion and garlic in some oil on medium heat. Add one liter water and add broth and salt until you like the taste! Now add the peas and let it boil for ca 7 minutes. Add the parsley and boil for an extra 2 minutes. Mix the soup, add some shrimps and serve!